There are so many themes one can use when naming children. What is the name of Chuck and Angus' sister? Bessy, of course. I wouldn't go with this theme. You could be like my parents and name them in alphabetic order. B: My brothers Chuck and Angus are both wrestlers. 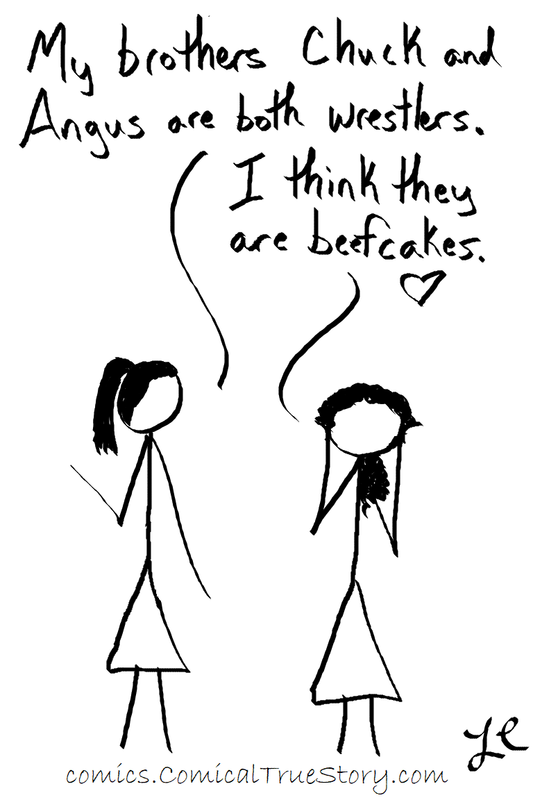 A: I think they are beefcakes.